During the recording of this album, I was in a period of my life where I found myself musing about fate, choice and the intersection between the two. My mind and heart became absorbed by the transience of things. Is it choice or fate that shepherds me, and the world at large? While music and performing are dear to me, so are the people and places with whom I interact. Once written, a musical composition is fixed on the page. But, when it’s given over to a musician or the listener, it comes alive and can evolve and change just as perspectives, people and places do. In this way, the abstract and the literal, the physical and the metaphysical, reality and the imagined world of daydreams and potentiality, work together. As I made this album and worked with these pieces, I reflected that one of the most beautiful and simultaneously abstract and absolute of things to survive all of us is music. My personal musing added to this and ignited a flame within. Music can withstand time the way people and places cannot, but in ways that memories and the spirit can. To me, music is the connecting thread through time and space, past and present, my inner and outer world. The magnanimous impermanence of each moment, just like the melodies, rhythms and emotion of music, becomes all the more tangible. The poem, Après un rêve, echoes the musings I had during the time of this album’s creation. I cannot think of the lyrics without being deeply touched by the notion that choice, perhaps, bears no weight on fate and the tension which is bound to this duality. What conclusion can we come to after hearing a work such as this or one such as Messiaen’s Thème et Variations? Carried through it is an almost ceaseless series of ascensions and descents of the musical line. It is, for me, caught between Earth and the ethereal. It is a flight of energy, and it resigns itself at its end – but to what? The final movement of Debussy’s Sonata for Violin and Piano often leaves me aware of the ceaseless energy we leave behind long after death. Whether I play these pieces, Stravinsky’s Berceuse, from his Firebird Suite, or meditate on the poem to Debussy’s Beau Soir, I am left with more questions, my perspective shifts, and I am filled with wonderment and curiosity. of the composers and the beauty woven through this music put me in conversation with grace. Whether it be wistfulness, melancholy, nostalgia, longing – each piece tells a story, and each time I play these pieces it feels as though I am telling this story for the first time. They are compositions that open up the world to me in unique ways. The passion I feel for these oeuvres, and the vitality that they offer, is something I have kept with me and carried for years. They possess movement that I know to be the same movement of the human spirit – they enact, they enthrall, they enliven – and in all this movement, there is transcendence. 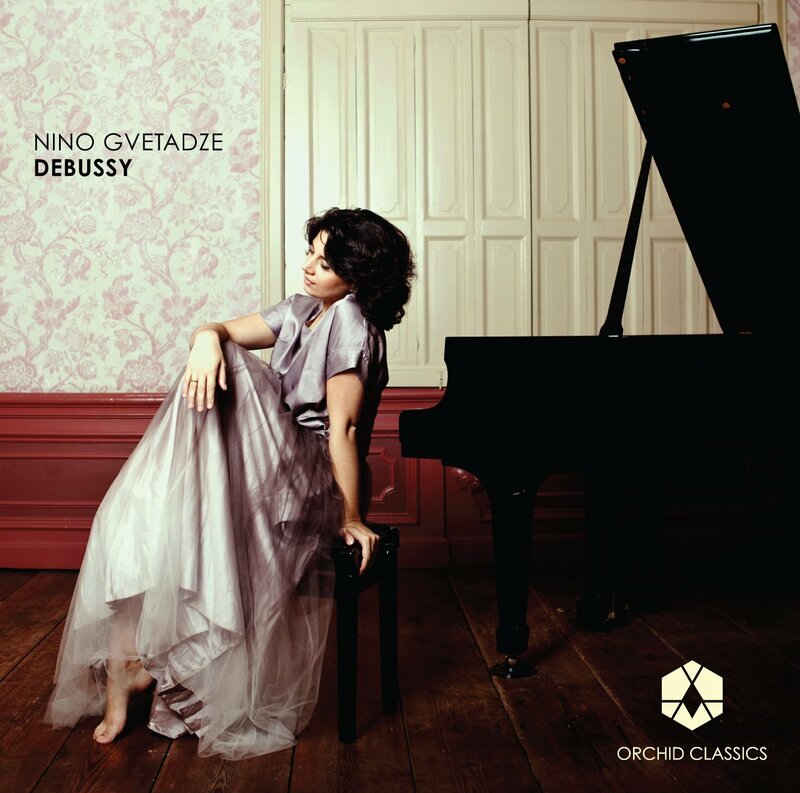 Inevitably, both World War One and his own diagnosis with cancer had a profound impact on Debussy’s state of mind. His former élan gave way to introspection, a shift reflected musically in three significant chamber works: the Cello Sonata and the Sonata for flute, viola and harp, both dating from 1915, and the Violin Sonata, which was finished with great effort in the spring of 1917. It was Debussy’s last complete work; a year later, on 25 March 1918, he died. Debussy, taking the piano part, performed the Violin Sonata with Gaston Poulet on 5 May at the Salle Gaveau – his last Paris concert – and again in September at St-Jean-de-Luz; his final public performance. Szymanowski’s Chant de Roxane was arranged for violin and piano by Paul Kochanski. The song comes from Act II of Szymanowski’s opera, Król Roger (King Roger), which was finished in 1924 and premiered in Warsaw two years later. The king’s wife, Roxana, sings a seductive melody in response to the arrival of a Shepherd, prompting a jealous response from her husband. Fauré’s Trois mélodies for voice and piano were composed separately between 1870 and 1877 before being published as a set, Op.7, in 1878. The first, Après un rêve, describes a vivid dream in which the poet revels in the fantasy of escaping with his loved one, only to wake to reality, longing to return to the dream. At the end of 1930, Stravinsky was introduced by his German publisher, Willy Strecker, to the Polish-American violinist Samuel Dushkin. Though not the greatest violin virtuoso of the age, Dushkin was a well-informed musician who helped Stravinsky with idiomatic violin writing; the two worked well together. They embarked on a series of projects, including the idea of putting together a recital programme with a view to increasing their performance engagements. An embryonic version was given in Milan in March 1932, after which the pair struck on the idea of what Stravinsky, writing to Strecker, called “un joli Kammerabend” – a charming chamber evening, consisting of violin and piano pieces and transcriptions composed or arranged by Stravinsky. Their recital programme now finalised, the two embarked on concert tours of the UK, France and the USA. “I have already criticized Firebird twice, in my revised versions of 1919 and 1945, and these purely musical criticisms are stronger than words. Debussy composed his song Beau soir, to a poem by Paul Bourget, when he was still a teenager, aged about 15 or 16, in 1877 or 1878 (at around the time Fauré’s Après un rêve was published). His fellow composition students at the Paris Conservatoire picked up on his literary tastes: Paul Vidal recalled that Debussy was “very fond of the poetry of Paul Bourget” and, similarly, Raymond Bonheur described Debussy arriving for classes “at the last minute, coming across the courtyard of the old Conservatoire with the short, hurried steps which always characterised him… Most of his settings of Bourget date from those long distant days…” The celebrated violinist Jascha Heifetz arranged this song for violin and piano. to the violin’s lyricism. The piano’s parallel chords, spiky interjections and running figurations, and the ethereal violin lines, are distinct but complementary. 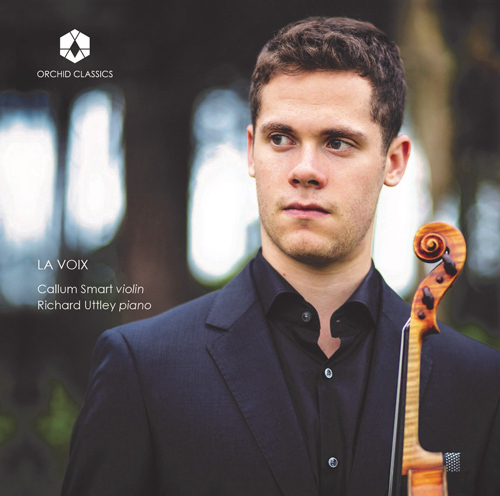 Both Ravel and Jourdan-Morhange loved jazz, and the second movement is a ‘blues’ in which Ravel creates a jangling sonority during the violin’s pizzicato passages. Supported by the piano’s steady rhythm, the violin line then sweeps between notes with improvisatory jazz in sections. first two movements. The violin continues its skittish motion as though compelled by some nervous energy, propelling the movement forwards, increasing in power and intensity until the vigorous final bars. 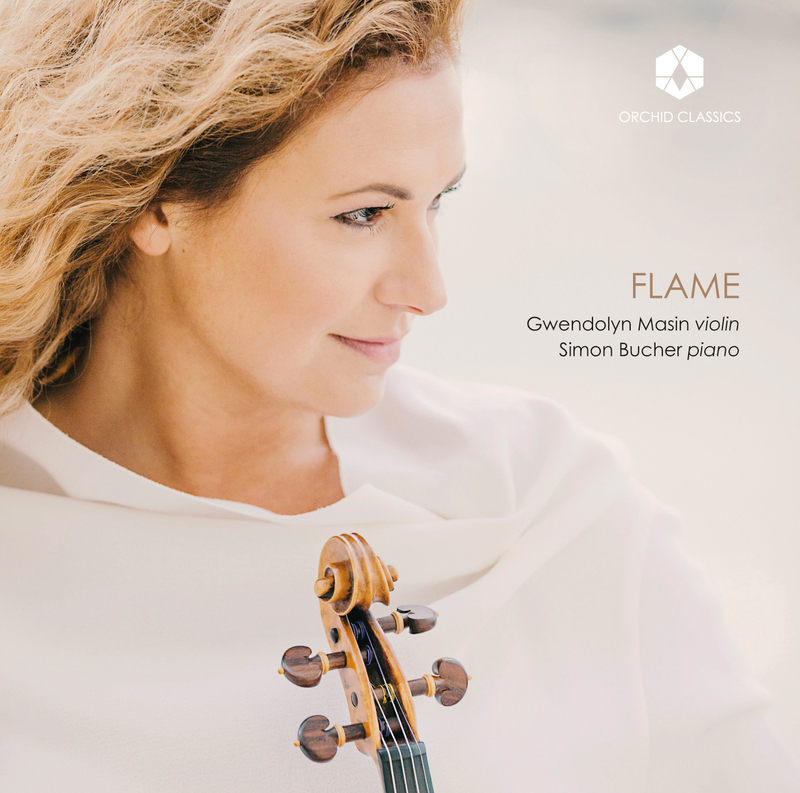 Gwendolyn Masin is a concert violinist, chamber musician, educator, artistic director, and writer. She performs internationally, to high acclaim, and has artistic partnerships with musicians, artists, and orchestras worldwide. She also teaches violin and chamber-music masterclasses at institutes and festivals and gives lecture recitals and talks concerning her areas of expertise throughout Europe and North America. Masin holds a PhD from Trinity College, Dublin. She is Professor of Violin Studies at the Haute École de Musique de Genève, Switzerland, Artistic Director of GAIA, an annual music festival held in Switzerland, and she curates various music series in Europe. Swiss pianist Simon Bucher is a sought-after international soloist, improvisor, chamber musician and accompanist. He has appeared at the Centre Pompidou Paris, Tonhalle Zurich, MoMA New York and music festivals like the Ruhr Piano Festival, Carinthian Summer, Murten Classics and GAIA Music Festival. His piano playing is applauded by the press and audiences alike: “Simon Bucher is a master of evoking impressionistic atmospheres” (NZZ). “The drive of pianist Simon Bucher, along with his sensitivity as an accompanist and his exquisite rendering of the ‘Prélude religieux’, are integral to the performance’s success” (Gramophone). After studying at Bern University of the Arts (HKB) with Erika Radermacher and Tomasz Herbut he completed his training in master courses with Ruben Lifschitz and Irwin Gage. As Artistic Director of the “Das Lied – Liedrezitale Bern” he makes an impassioned plea for the art of song. His song partners include Robin Adams, Rachel Harnisch and Dominik Wörner. As a soloist he works with conductors like Daniel Klajner, Tonu Kaljuste and Michael Sanderling. 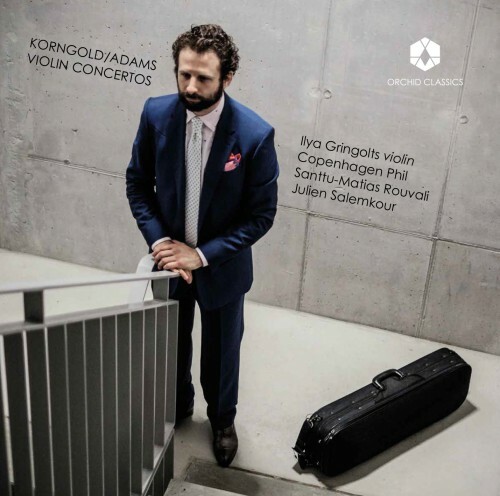 His eclectic interest in different music styles is reflected in his many different chamber music formations, cooperation with dancers, VJs and in his improvised recitals. Many of his concerts have been broadcast on radio (SWR, ORF, Espace 2, DRS 2) and several CDs issued under the ARS Produktion and Carus labels. Captivatingly phrased, strongly characterised and atmospherically recorded, Masin’s inspired programme appears to emerge languorously from a heat-haze…. An expertly cohesive programme, full of charms…. One can feel the warmth in the dialogue with her long-time partner Simon Bucher. Their performance is beautifully fluid.